Join Jackie & Jaclyn as they share their Slow Cooker Secrets. 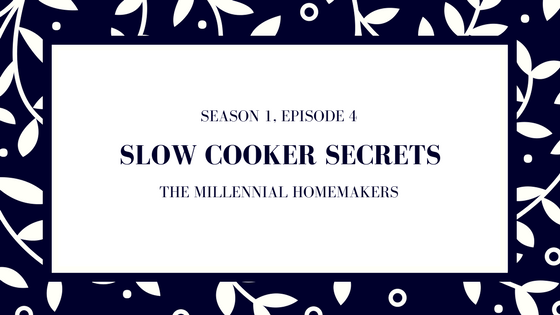 We’ll share tips for meal planning, our favorite slow cooker recipes, and some tricks for making slow cooker meals healthier. Slow Cooker Liners - love them or leave them? Brown the ground beef, then put the beef and other ingredients in the slow cooker. Serve with sour cream, shredded cheese, and hot sauce. (Optional) add Fireball Whisky for an adult treat! Put all ingredients in the slow cooker and cook on low for 6 hours or high for 4 hours. Prepare brownie mix according to the box. Pour into slow cooker. Whisk pudding mix and milk in a bowl until smooth. Pour over the brownie mix.